GUNNED DOWN: Teenager Kareem Forde was killed at his Block 8, Plaisance, Morvant. 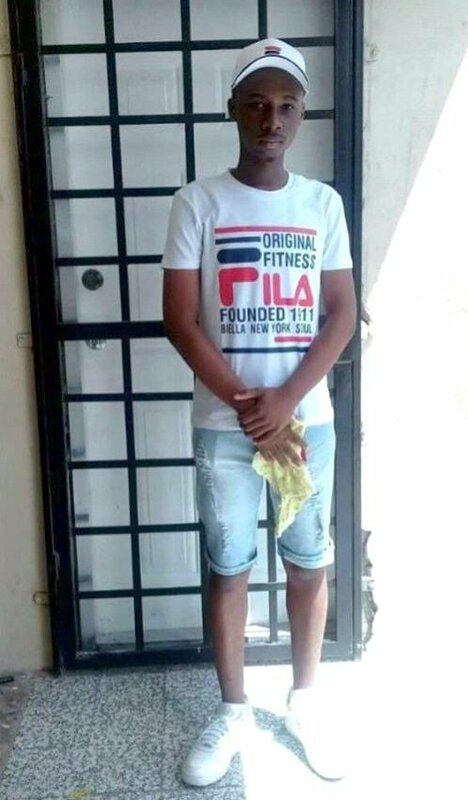 The war between Rasta City and Muslim gangs in Laventille claimed the life of a teenager, who police confirmed was not bothered by the ongoing gang war, after one faction opened fire indiscriminately in a neutral zone. The deceased, Kareem Forde, 16, was a fourth form pupil at South East Port of Spain Secondary School. He was shot while standing in the back of his Plaisance Terrace home, trying to get a better WiFi connection from a neighbour just before midday on Friday. He died at the Port of Spain General Hospital around 5 am yesterday. Forde, a relative told the media, was a child that kept to himself. He moved with his family to the area from Queen Street about seven years ago before the Rasta City and Muslim gangs chose their names. Where Forde lived is regarded as a safe zone. Men from the St Paul Street side of the divide are regarded as Rasta City members while Plaisance Terrace and neighbouring Block 8 is regarded as Muslim. Police, when asked for a motive, said he was at the wrong place and the wrong time – his back yard. Gunmen, believed to be from St Paul Street, climbed the hill separating the two areas and opened fire on whoever they saw. Forde’s mother Carmelita Millington-Gordon said her son was unsure of what he wanted to do with his life on completing secondary school but he loved information technology and that was his favourite subject. This was confirmed by his relative, who did not want to be named. Both said Forde was a reserved, loving child who never associated with anyone involved in criminal activity that might make him a target. She added that the presence of police stymies the shooting in the area but a police post once stationed in the area was removed and the shooting resumed. She recalled nights of sleeping with her doors open due to the police post, however, there needs to be a permanent solution since it is the innocent who are paying the price. She said her four-year-old son and his older brother were very close and he is constantly asking for him. He is aware that Forde is dead as he saw him being taken to hospital and told his father that “somebody kill my brother” on Friday. Mellington-Gordon said she woke in the middle of the night calling out for her son, forgetting he was in the Intensive Care Unit fighting for his life. Forde’s relatives said the random shooting in the area has so desensitised the community that when Forde was shot, no one was stunned or concerned, only when the teen cried out for help was there any sense of urgency. Reply to "Teen killed in ongoing war"